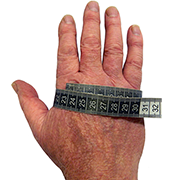 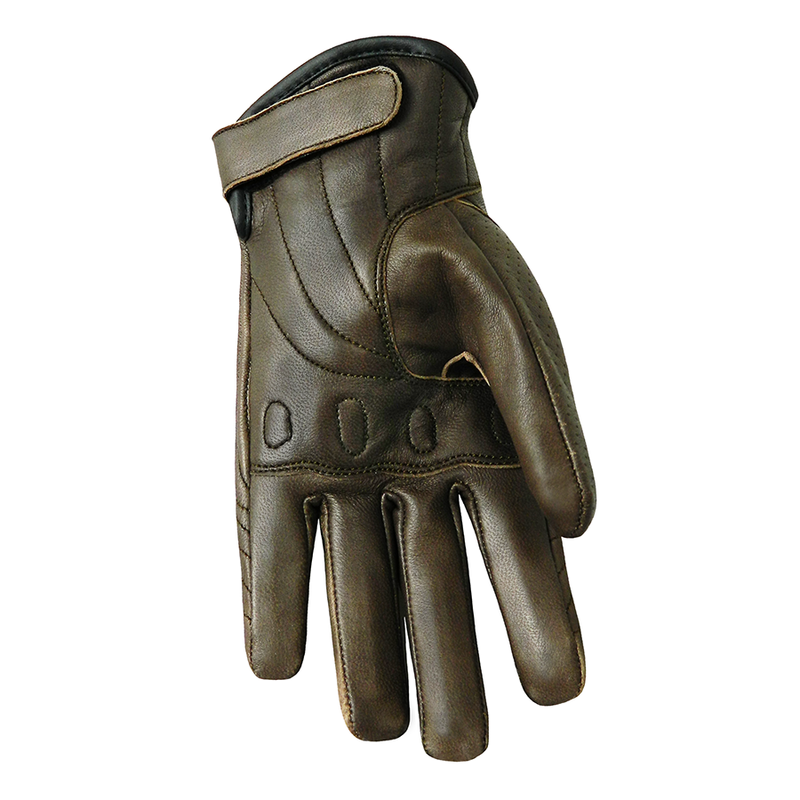 Quality soft brown leather with perforated fingers and back of hand. Along with the foam-backed Airtex lining to the back of the hand, fingers, back of thumb and palm area, the airflow produced makes this a perfect summer motorcycle glove. Built-in moulded knuckle protection and lightly padded palms. 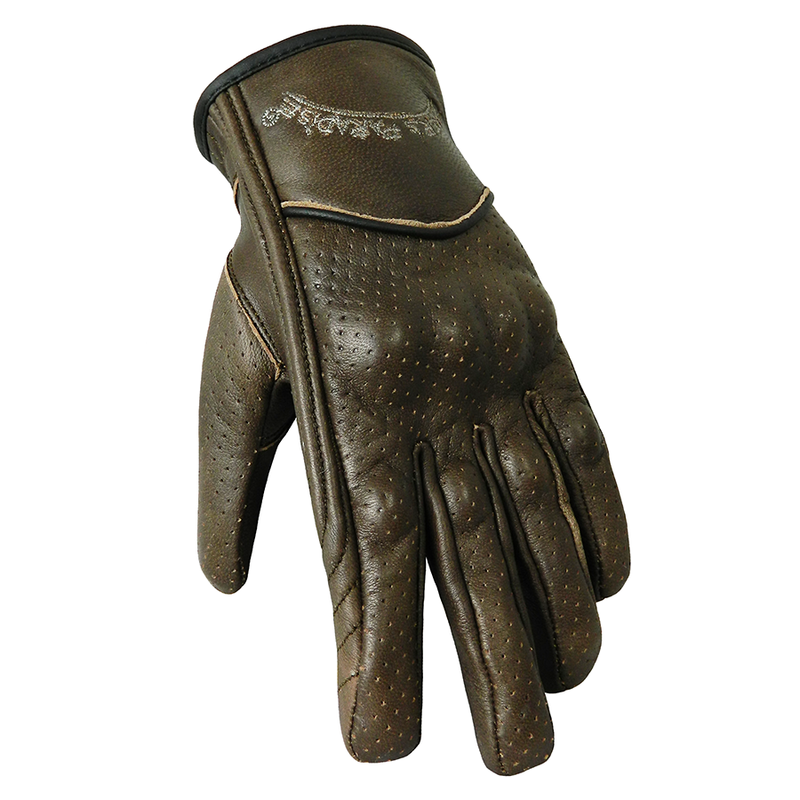 Always feel in control with a correctly fitting glove - leather stretch panels at sides of hands for ease of movement.